Mindfulness. Ah, a word dating back hundreds of years to Buddhist meditation, now a familiar term in current society diction. Focus on the present moment without judgment; enter a calm state. These are both central conceptions of mindfulness, and they can be extremely beneficial in anyone’s life, especially those recovering from drug and alcohol abuse. Sounds pleasing, right? Who doesn’t want to be calm or treasure the present? The thing is, mindfulness requires practice. Our minds have a habit of wandering off into the future or the past, but in a mindful state, our thoughts are gently brought back to the present. However, once learned, mindfulness is a powerful tool to overcome addiction and refocus one’s energy to lead a positive and sober life. Studies prove mindfulness is beneficial to your health, but can it also lessen your cravings for drugs and alcohol? Being fully in the moment has great advantages. Published research validates the clear benefits of incorporating mindfulness into a recovery plan. These are some of those benefits. Mindfulness supports psychological health, crucial during recovery. Helps addicts become less judgmental. Promotes peacefulness in daily life. Makes addicts likely to experience anxiety. Mindfulness is healthy for the body, specifically for immune system support. It improves sleep patterns, sleep quality, and sleep duration. Mindfulness makes addicts better able to handle adversity and less troubled by unpleasant experiences. Provides emotional control and helps addicts face uncomfortable and stressful situations. Allows for good decision-making skills. Has the ability to help drinkers start to cut back on alcohol consumption. Addictive cravings can be defined as a powerful, conscious desire to consume a specific drug. They are usually in response to environmental signals (triggers) that have been connected to drug use through past experience. These past incidents most likely created a temporary feeling of ecstasy for the drug user, and the person seeks out those positive feelings no matter how fleeting. These cravings are overwhelming emotional experiences that take over the body and the mind. When they become intense in an addict’s mind, these urges become an almost uncontrollable motivator of negative and destructive behavior. Extreme cravings can influence a person to seek out a drug without caring about the cost of their, or others’, welfare. If you have never been addicted, it might be difficult to understand how hard it is to cope with drug and alcohol cravings. But try to imagine waves in the ocean: they build up to a peak state, and then they subside. However, for the addict, the craving peaks and never has a chance to subside, because the urge is immediately acted upon. In fact, when an addicted person experiences a longing for their drug of choice, it feels like life itself is dependent on getting and consuming whatever substance is causing those cravings. The individual believes they are justified in saying or doing whatever it takes to feel that satisfaction and relief. Even after rehabilitation, the cravings may not end. The desire for the drug can quickly lead to a relapse if not handled appropriately. Traditional treatment for substance abuse often focuses on avoiding or controlling triggers that result in negative emotions or cravings. 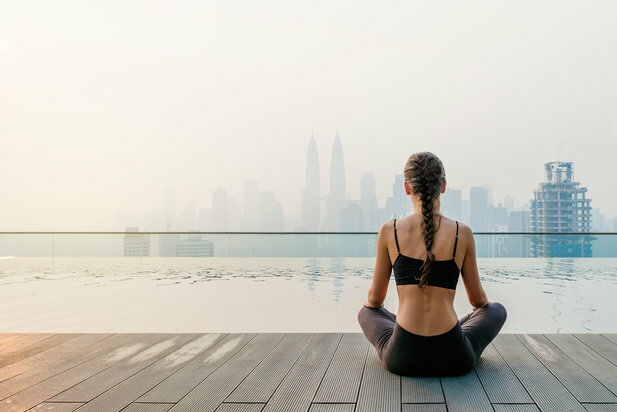 Mindfulness-based interventions have been used to address cravings for a long time, but freshly published information further validates these methods. Researchers assessing 30 experimental studies have found that mindfulness strategies brought about an immediate reduction in cravings. This newly published review suggests mindfulness strategies may help prevent or interrupt cravings for drugs and alcohol by occupying short-term memory. Additionally, the review stated that mindfulness reduces cravings over the “medium-term”, due to the “extinction process.” This means mindfulness behaviors like meditation block cravings are at the onset, which translates to reduced cravings overall. Perhaps most importantly, engaging in regular mindfulness practices may reduce the need people feel to react to their cravings. This newly published research review only further supports the power of mindfulness strategies to extinguish cravings. Mindfulness provides unique benefits when practiced over an extended period of time, and recovery from addiction is a journey that lasts for a lifetime. Learning mindfulness tools, such as being present in the moment, may be essential to a continued sober life. If you or someone you know struggles with addictive cravings, you can visit or directory of treatment facilities or call us at 800-772-8219 to discuss your options.